Ian Davis and Scott Sullivan have been diagnosed with Motor Neurone Disease (MND, also known as ALS or Lou Gehrig’s Disease) a neurodegenerative disease that destroys your motor neurons, paralysing the body until you eventually suffocate. The hardest part about this disease is that the brain remains completely functional, so sufferers are completely aware of what is happening, all they can do is watch. But Ian and Scott are standing up and making a difference. 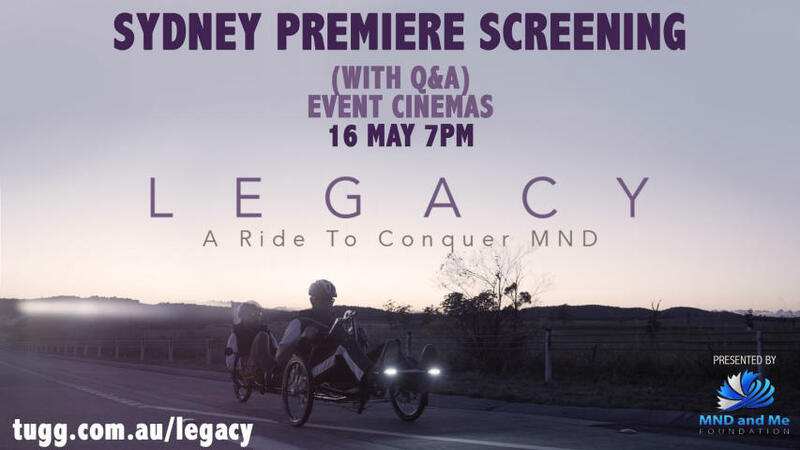 They plan to ride One Million Metres for MND (Brisbane to Sydney) on a custom made tandem recumbent bicycle with and arm crank because Ian’s legs are failing and a leg crank because Scott’s arms have grown weak. 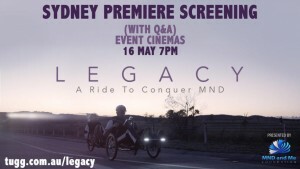 The film Legacy will showcase this extraordinary story of courage and the enduring spirit. Previous PostApple PayNext PostIs Switch Control for you?